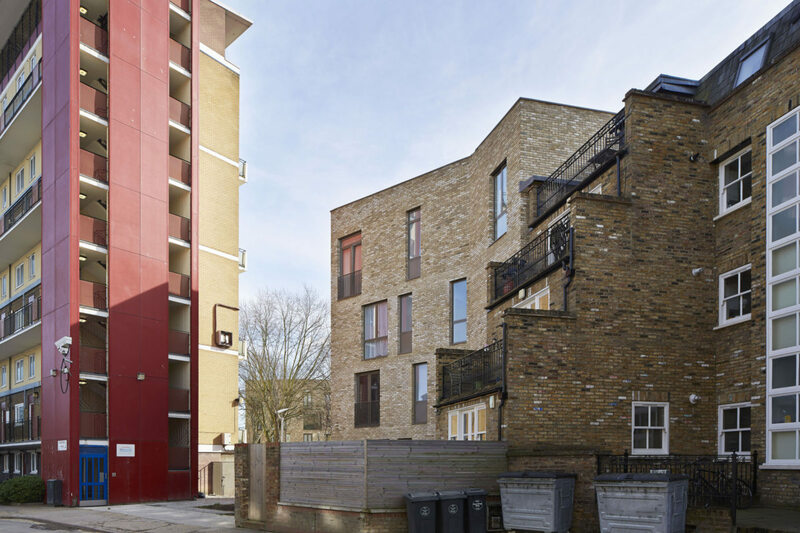 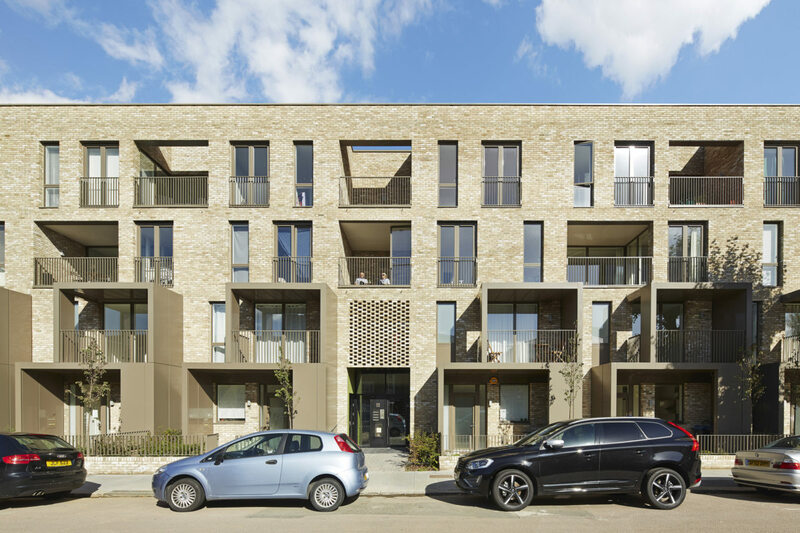 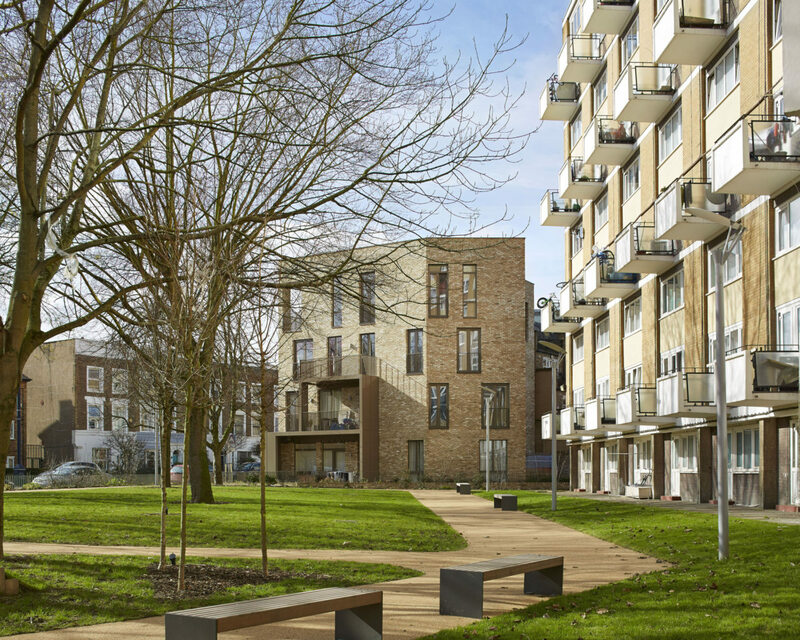 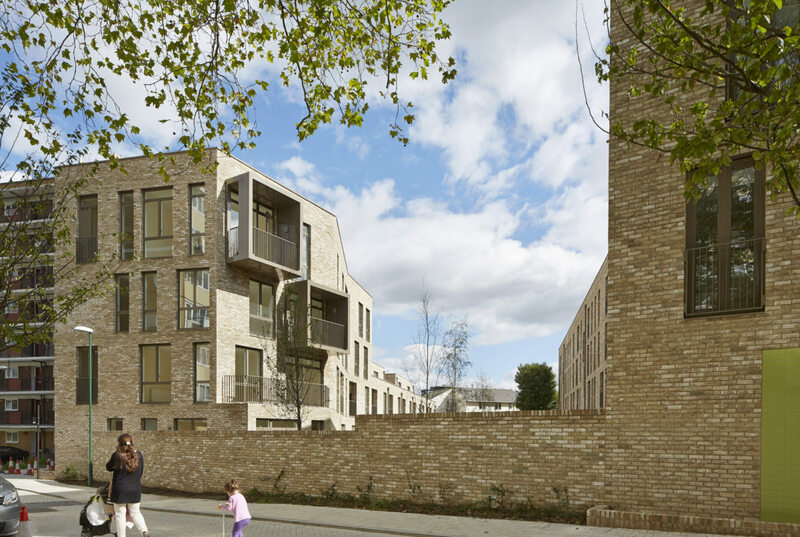 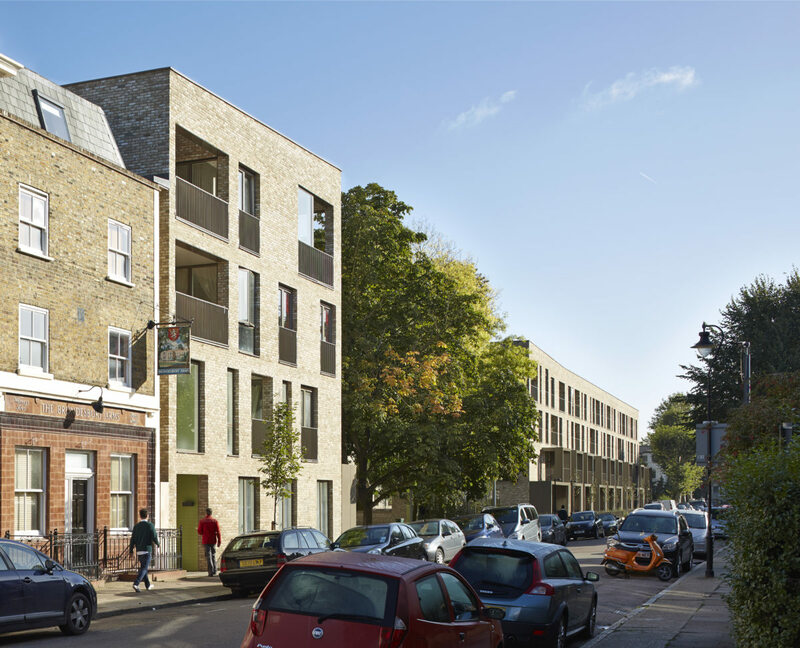 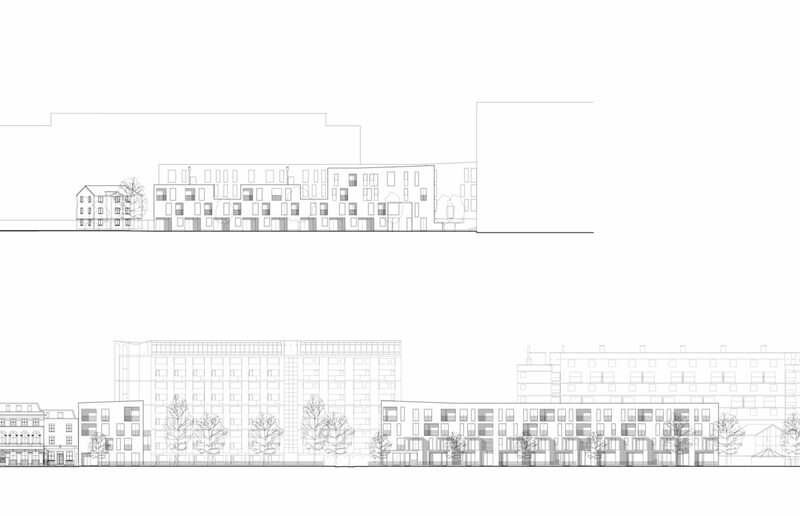 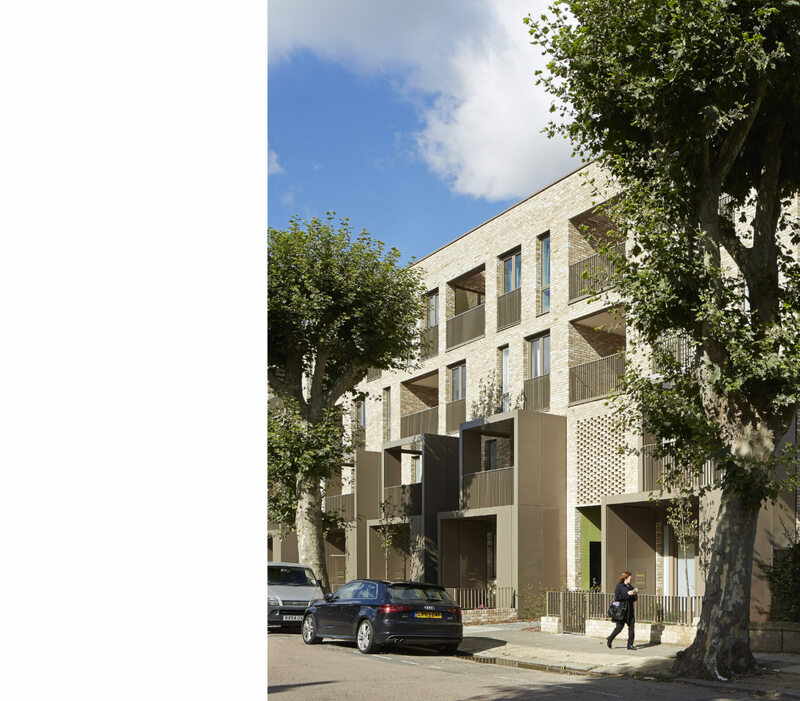 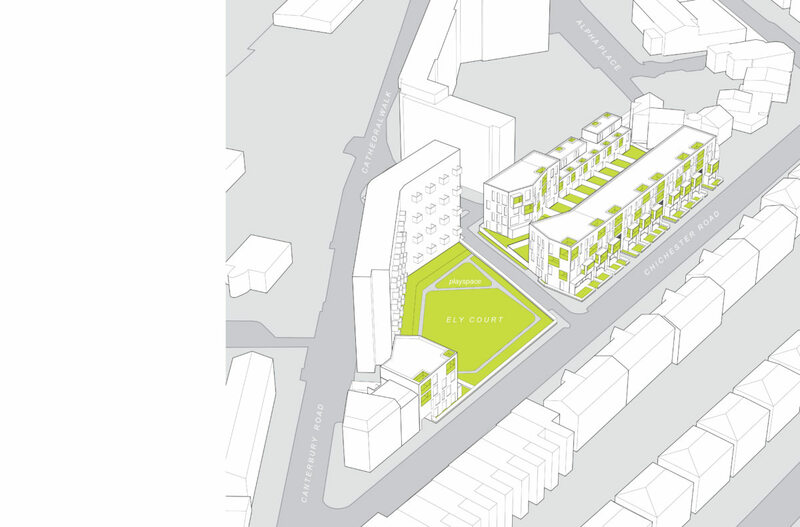 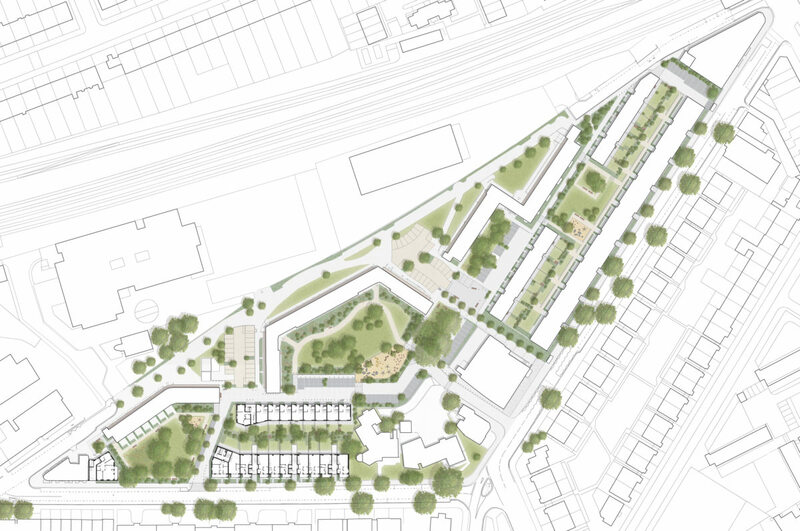 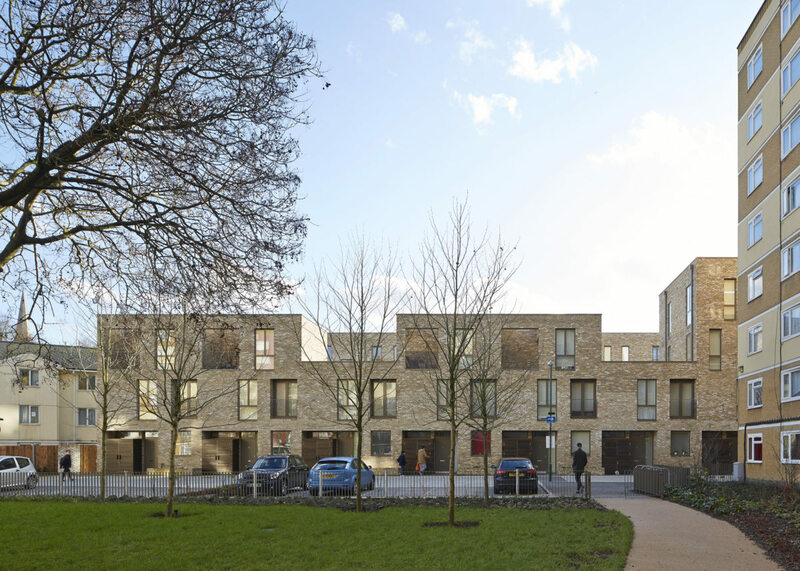 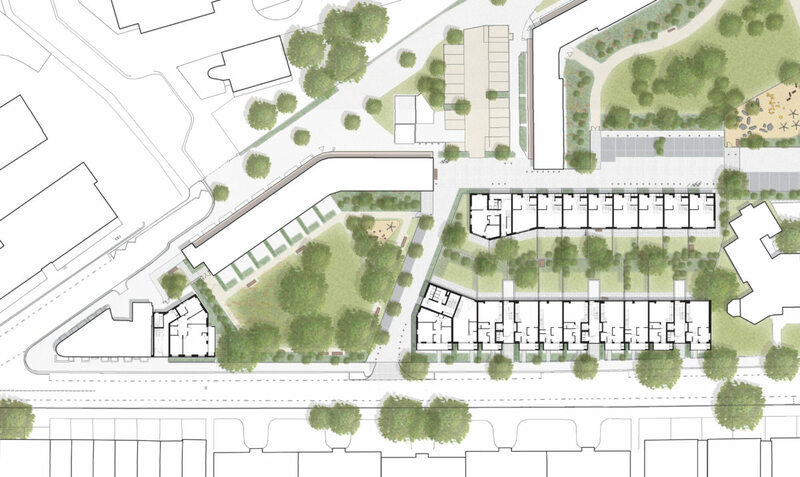 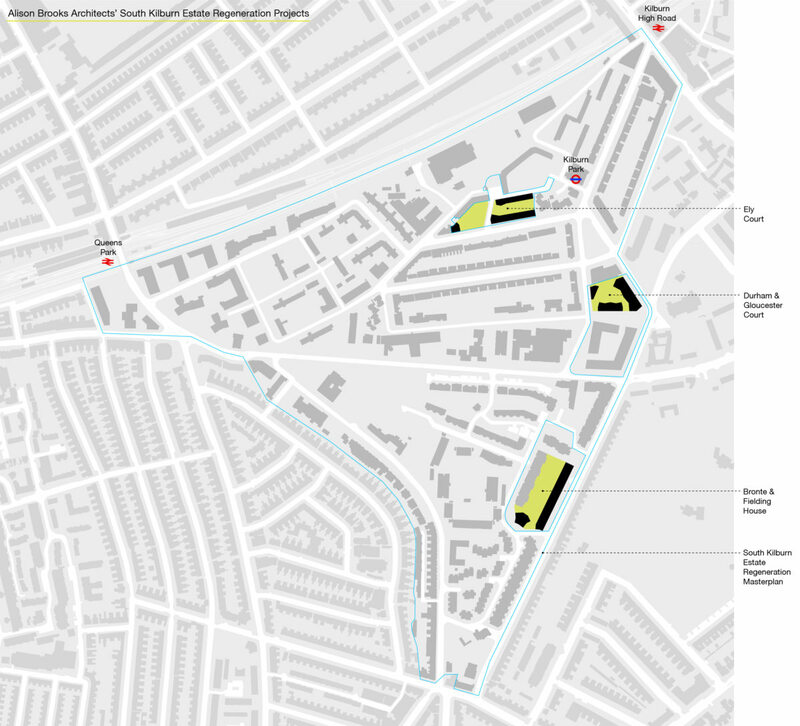 Ely Court is a 43-dwelling mixed-tenure regeneration scheme within Phase 1b of London’s South Kilburn Estate Regeneration masterplan, a result of Brent’s rolling programme of invited design competitions for each phase. 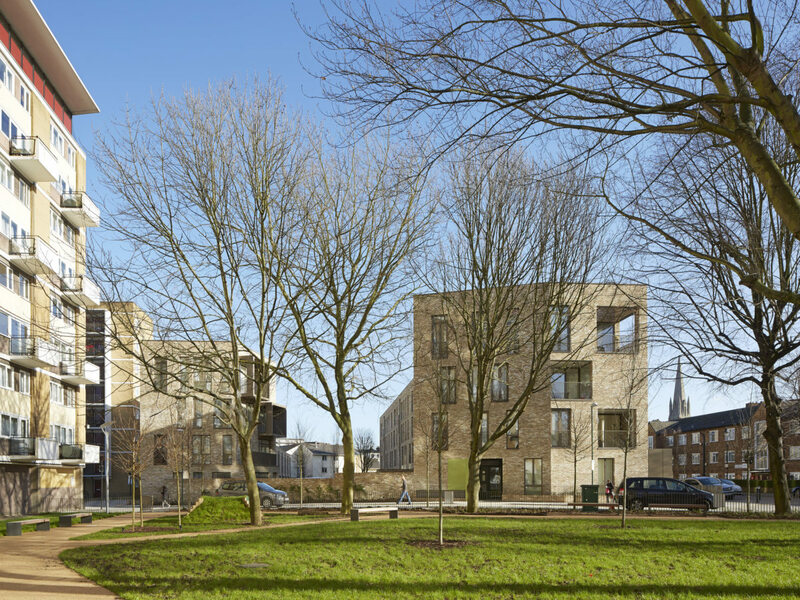 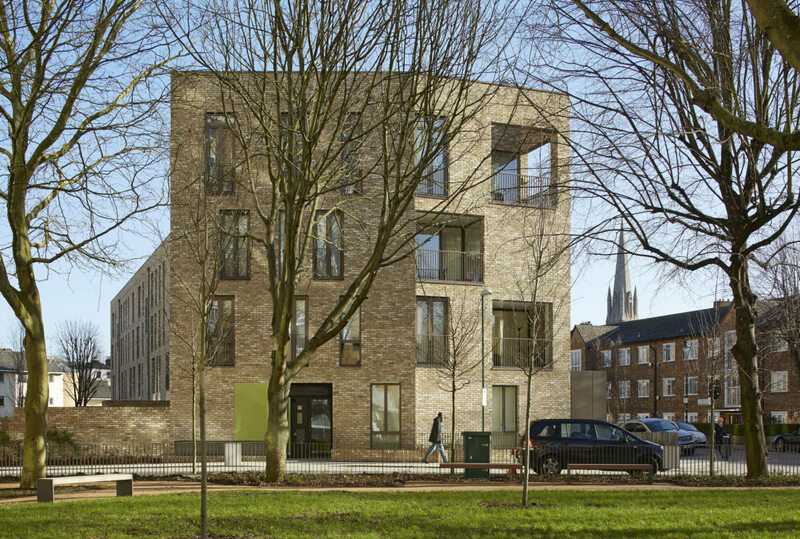 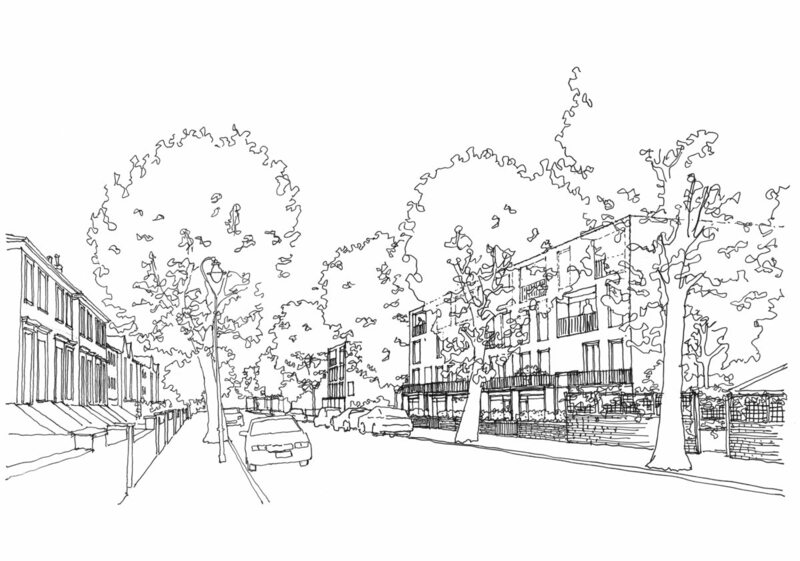 ABA was invited by Lifschutz Davidson Sandilands to design 43 dwellings on the Ely Court site, while LDS designed 144 units on the site to the north east. 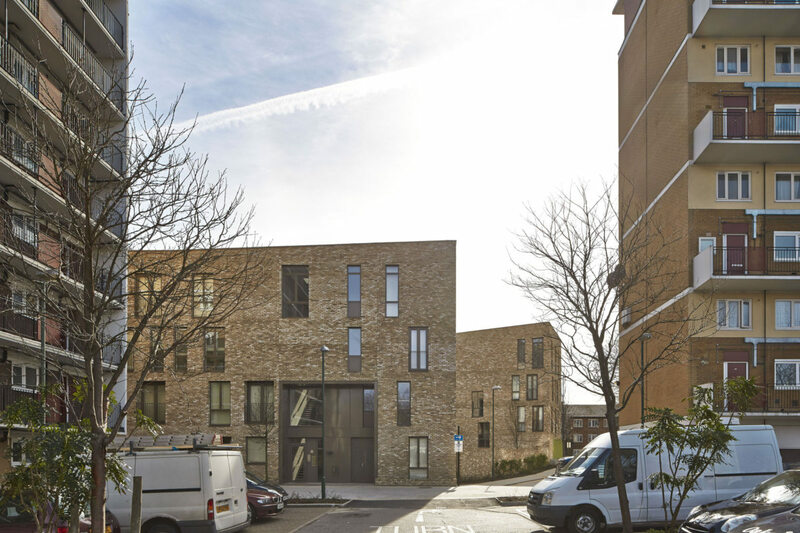 The scheme demonstrates the ability of a Local Authority to lead the process of enlightened city building, by commissioning and delivering housing of the highest caliber to integrate previously segregated communities. 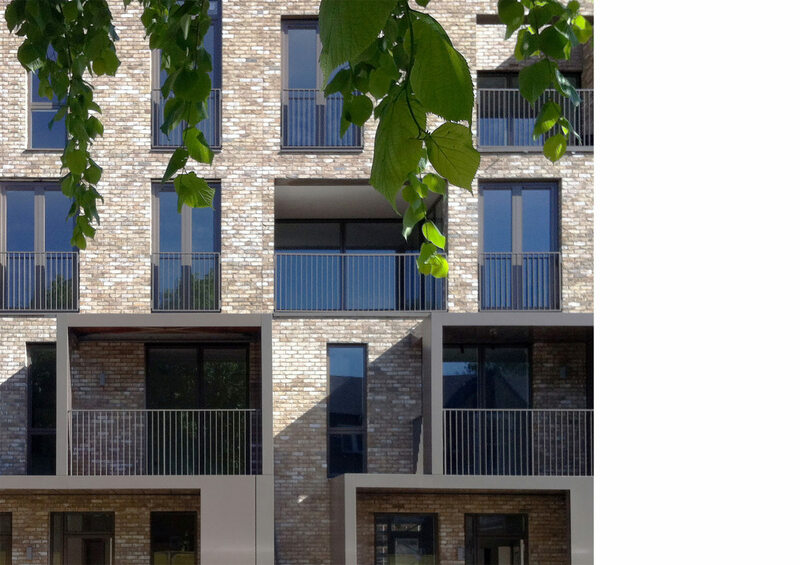 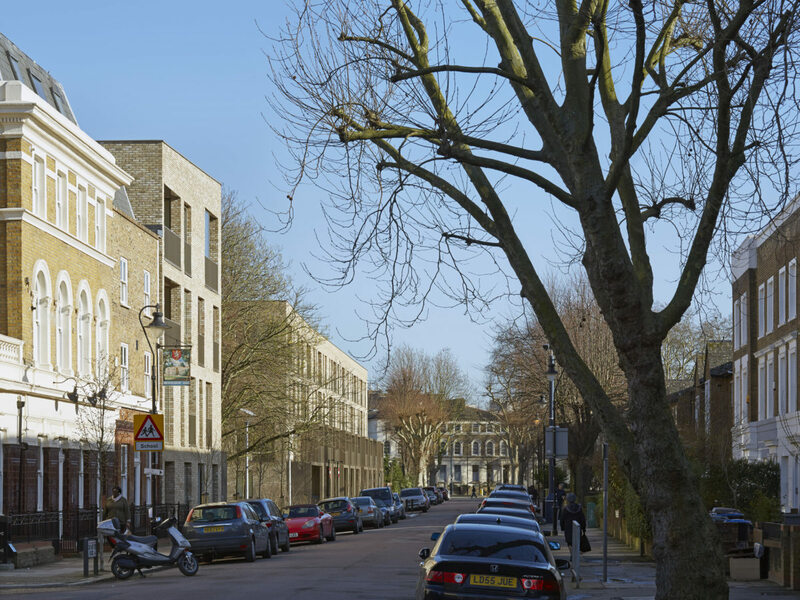 The joint masterplan for the Phase 1a and 1b site reinstates the block and street pattern that characterised this archetypal 19th C London ‘suburb’ by reinstating a mews street in the middle of the shared block, Alpha Mews. 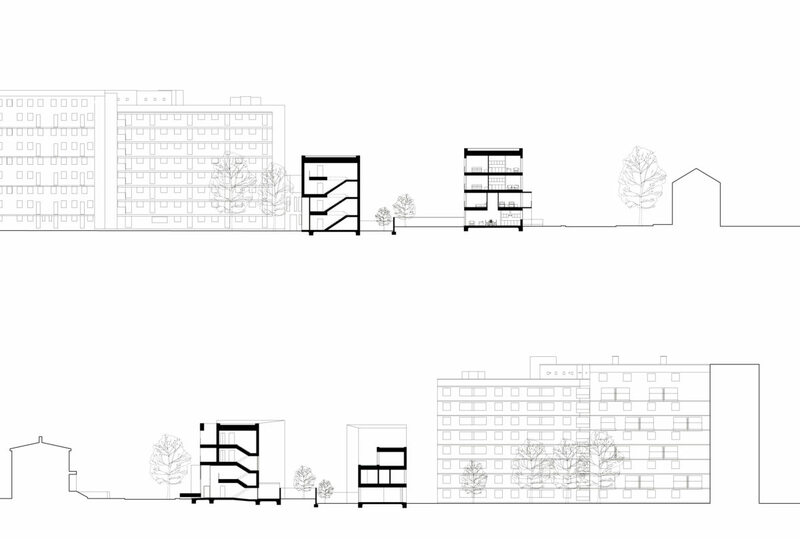 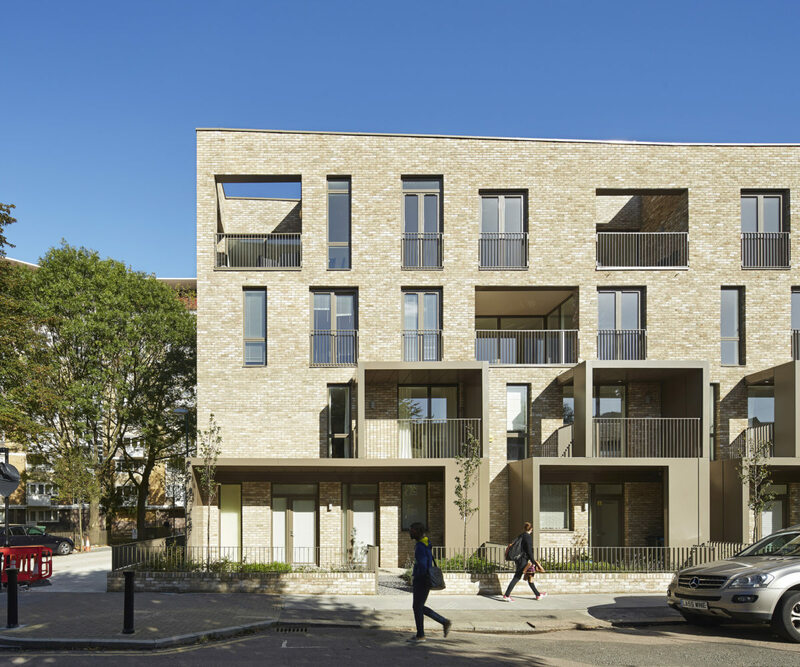 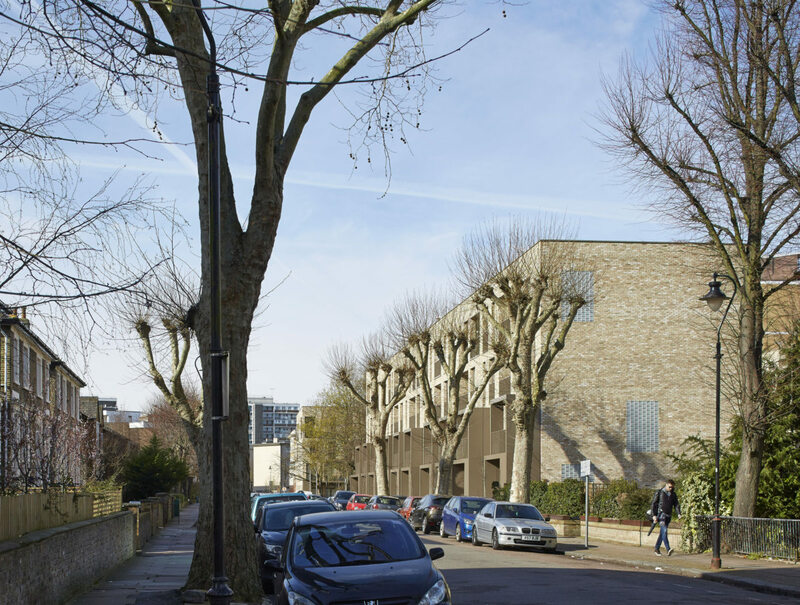 This mews draws pedestrians and vehicles into what was previously an isolated and under-used ‘green space’ between slab blocks and is made up of shared surfaces, play areas, parking, and connects newly defined garden squares. 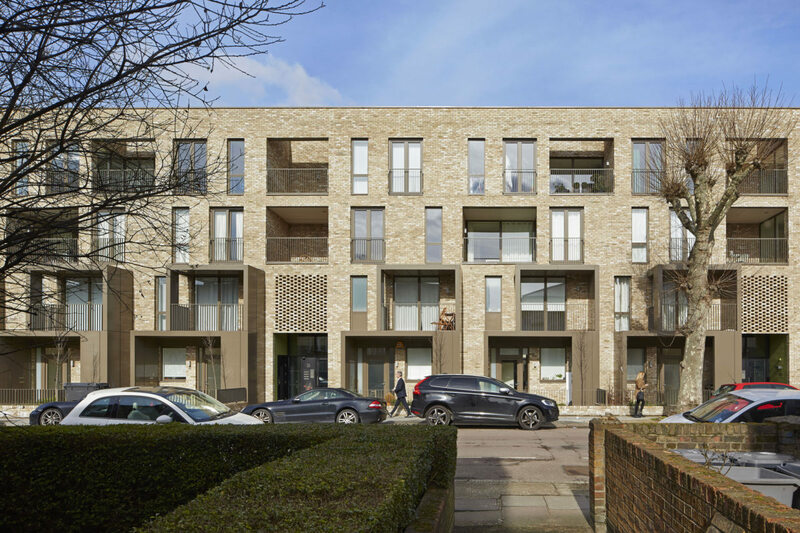 Ely Court was conceived as four building types, each of a different scale and organisation tailored to its specific locale: Terrace, Flatiron, Link and Mews. 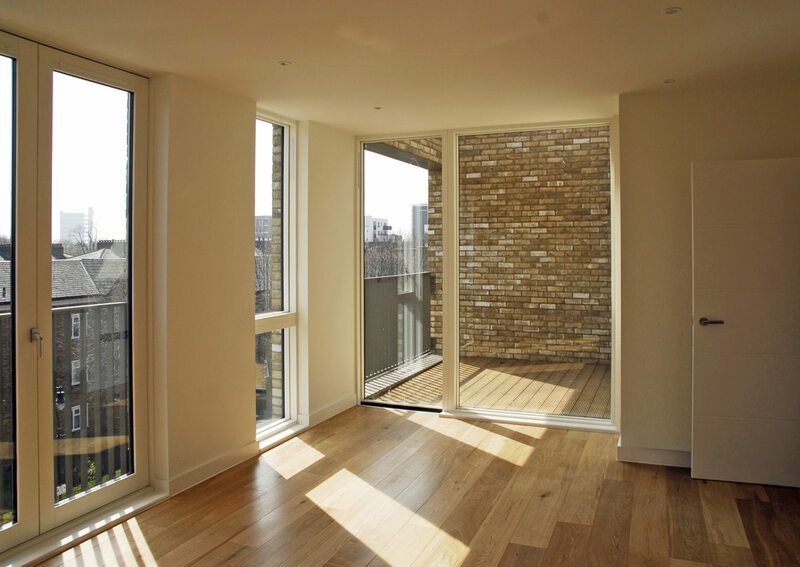 These have been designed to provide exceptionally high quality, bright and spacious units. 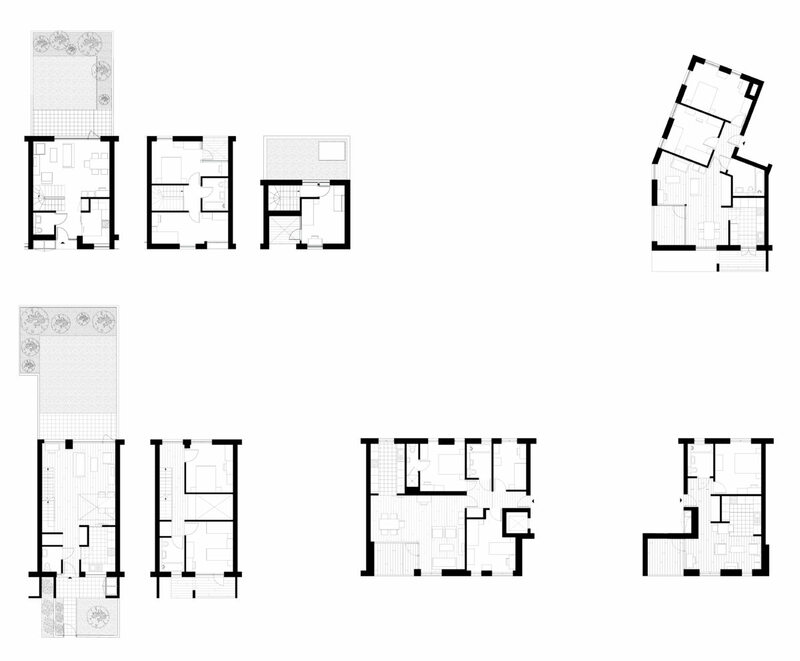 Areas generally exceed the LHDG. 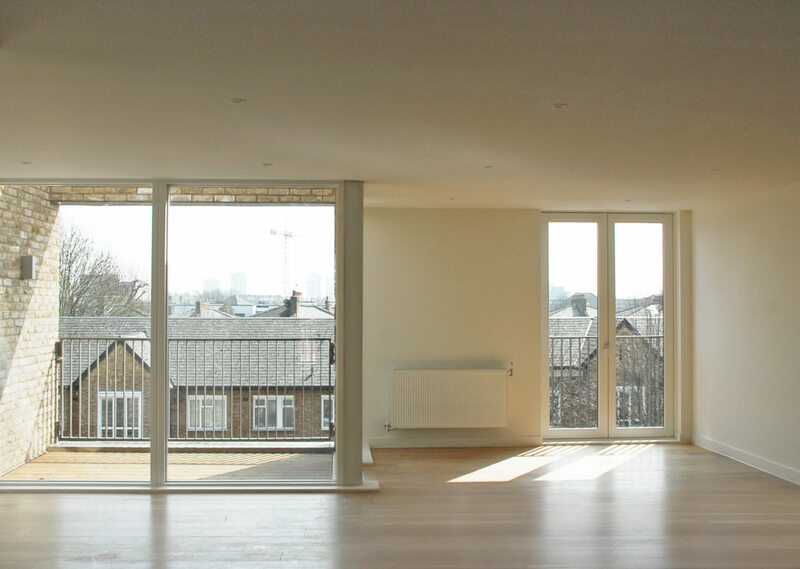 Floor to ceiling height is exceptionally generous at 2.6m and all windows are full height French doors, with their accompanying sense of light and space. 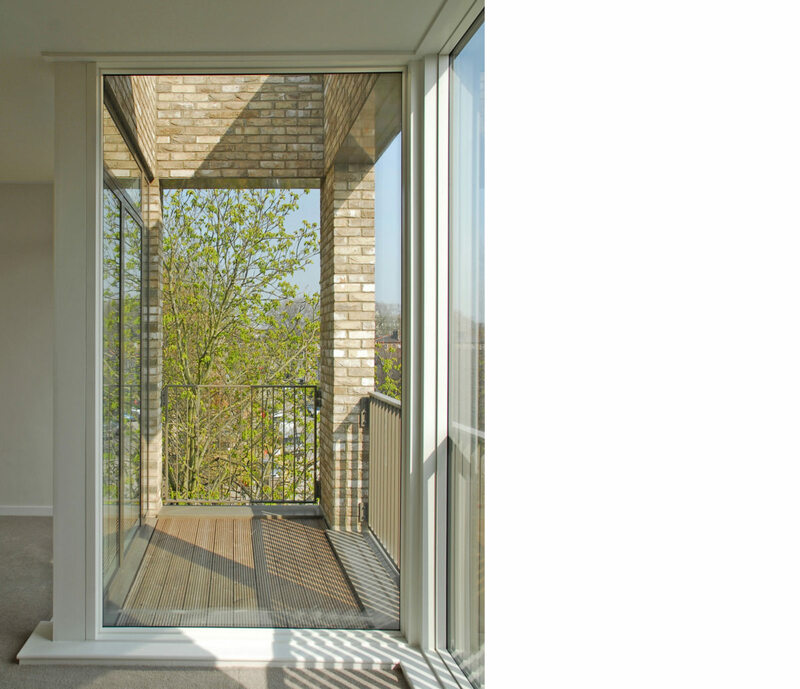 The three buildings share a common brick with particular features such as porches, porticoes and balconies articulated in metal.